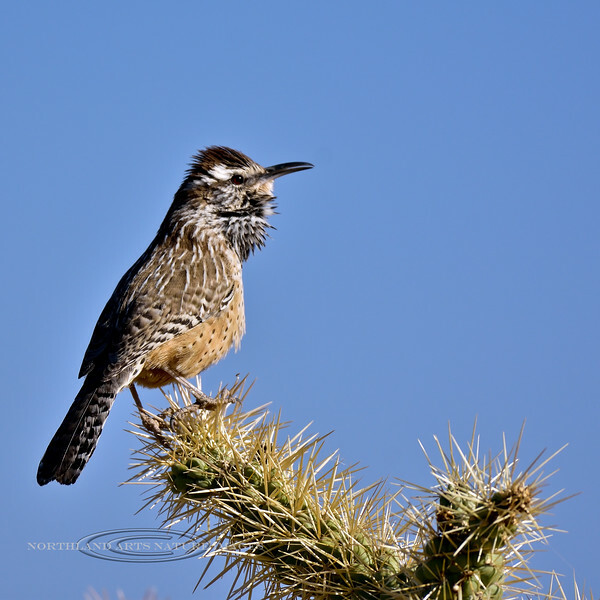 Wren, Cactus. On Chainfruit Cholla. Pinal County, Arizona. #1214.2080.